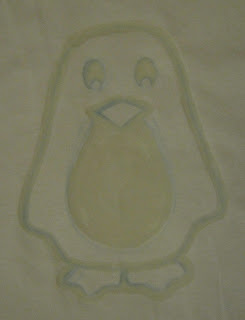 Sometimes I make a stencil for this stage, but most, including this one, I just draw on freehand. 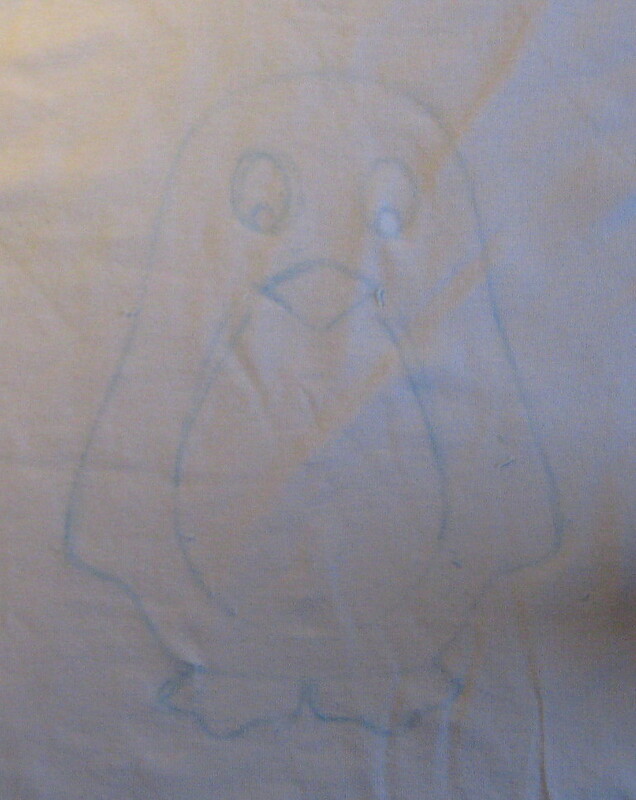 The next stage is to wax the design. I don't use any special kind of wax for this, in fact I usually just melt down tealights, and for the t-shirts I prefer to use a brush to apply it rather than a tjanting, because it gives a more regular line and is a bit easier to control the flow of wax as well so that it only goes where you want it to! 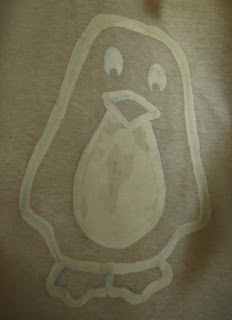 Put a sheet of greaseproof paper inside the t-shirt, to stop any wax running through to the back. The most important thing at this stage is to make sure your wax is hot enough to seep right into the fabric. When you hold it up to the light you should be able to see the light through it, and make sure there are no obvious gaps where the dye might leak. I usually test the wax on a cloth first to see if it is hot enough, as it's not very easy to correct once it's on.